Note: If your e-reader does not support Amazon's file format, please forward your sales receipt and the file format you prefer, and I will send a file compatible with your reader. This e-book contains no DRM. Best choice for computers and large tablets depending on equipment. 10 - Chapter Ten: Fire! 40 - Chapter Forty: Boarded! 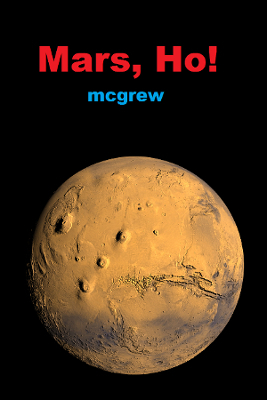 48 - Chapter Forty Eight: Mars! ©2014 mcgrew All commercial rights reserved. This text can be shared electronically but not commercially without prior permission.